Prepare for mystery, thrills, and the adventure of the future to come. The Singularity - the point in human history when we begin to enhance our own intelligence with intelligent technology. As humanity merges with machines, will we forget what it's like to be human? From Fearless Publishing comes the first novel in The Singularity Saga, a set of stories set in the future where humanity begins to reach the technological singularity. Follow the story of the first sentient AI being, Haalee, whose task is to aid humanity into this brave new world. Set in the same universe as the recently released game Ashes of the Singularity, the book takes place in our near future and follows the creation of prerequisite technologies that will lead humanity to a future that we can scarcely imagine. About the Author: David Simpson has written nine novels, including the award-winning Post Human series. 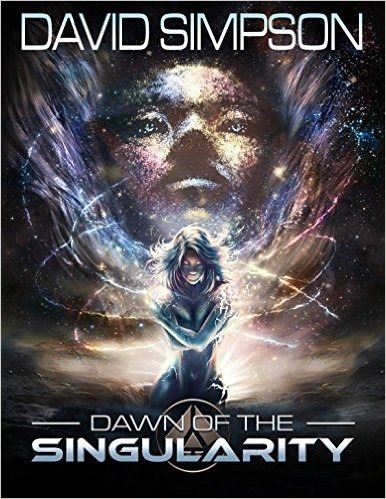 Dawn of the Singularity is now available! Purchase a digital or hard copy on Amazon today. good to know, I need to look at that i may get it. Halfway through it on my Kindle. Very solid writing. Two thumbs up.